Having experienced the New York ska scene of the 80's and early 90's as both a fan and a musician, it gives me a feeling of great satisfaction and excitement to see ska, reggae and rocksteady music flourishing again in the Big Apple. While the music has never completely disappeared, the last two years or so has seen the scene grow, evolve and move its nexus to Brooklyn. While established bands like The Slackers have made Brooklyn their home-base for many years, a younger generation of bands, DJs, promoters and fans are being nurtured by the band and are themselves helping to develop a thriving ska and reggae scene in New York City. Historically, the New York Ska scene was based in Manhattan. During the 80's and early 90's, New York City was home to a multitude of clubs that catered to and booked ska. The granddaddy of them all was CBGB's, but others like The Continental, The Cat Club, New Music Cafe, SOB's and later The Wetlands and The Knitting Factory centered the scene in Lower Manhattan and the Lower East Side and helped give rise to The Toasters, Skinnerbox, The N.Y. Citizens and others. As rents skyrocketed in Manhattan in the early 2000's, many clubs (and most musicians) were priced out as their leases and rent doubled and tripled. As a result, many clubs closed, stopped booking ska and focused on selling drinks and booking cover bands or in the case of The Knitting Factory, picked up and moved to new digs in Brooklyn. Over the last several years, a new cadre of band's who are all inspired and nurtured by The Slackers including The Forthrights, The Hard Times and The Frighteners now call the largest borough in New York their musical home. There is also a thriving DJ scene led by Agent Jay of The Slackers that includes 100 Db's, Grace Of Spades and others who regularly spin at shows, bars and pubs around Brooklyn. There are also regular ska shows like Version City parties hosted by King Django at The Knitting Factory and Dirty Reggae parties hosted by Agent Jay at The Lake in Bushwick. All together they have created a ska music renaissance in the city that helped give birth to the American ska scene. A young film student and ska fan named Samuel Gursky is working to document the roots and culture of the Brooklyn Rocksteady scene. Gursky has grown up in the ska scene and like many young fans started out as a fan of ska punk. 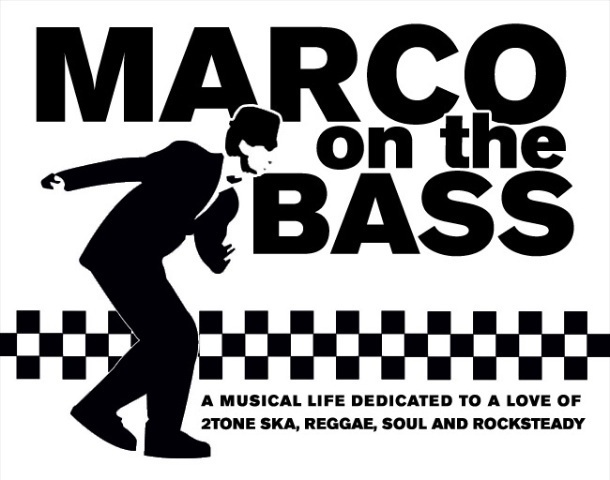 Over time he, like many other young fans has embraced the slower more soulful sounds of traditional ska and rocksteady which seem to be the sound of choice for many Brooklyn-based bands. I recently caught up with Gursky to learn more about his project which he is hoping to fund through Kickstarter. What is it about Brooklyn in particular and the ska scene there that inspired you to develop the documentary? What it really is about Brooklyn in particular and the ska scene there that has inspired me to develop the documentary is that I have grown up attending ska shows since I was 12 and booking ska shows since I was 16 (I'm 19 now) and I have seen many of the people deeply involved now grow and change to be involved in completely different projects and scenes. It's been a really strange but amazing experience. For instance, my first encounter with Jimmy Doyle (of The Forthrights) was in 2005 at a club in Farmingdale, NY called The Downtown. His band The Fad opened up for Catch 22. At the time, Jimmy was a rambunctious front man jumping around. Now he now plays with The Forthrights, singing and playing guitar. He has calmed down quite a bit. Another example would be Jesse Litwa (of Royal City Riot). My first encounter with him was in 2006 I believe, his band Kickboxing Fury was opening up for Badfish at The Crazy Donkey in Farmingdale, NY. A teen with huge hair, he was playing ska, but nowhere near the same type as he plays today in Royal City Riot. I also had an interesting experience recently after touring with The Forthrights, Vic Ruggiero & Chris Murray this past July. We had stopped in Niles, Ohio to record for a few days with Nate Mackey in his then brand new studio space that he had built in his house, which was later named "The Treehouse". I ran into him at Punky Reggae Fest and he told me that the 3 days we had spent there really had a huge impact on his life, recording with people who he looks up to and feels that he really learned from (Vic and Chris) and recording The Forthrights, who he described as "The Next Slackers." I truly realized that there was something very special going on in our little community, and the fact that someone was able to have an experience like that, and that I was able to be there for it was a truly amazing thing to me, and I want to document this to share with everyone who has any interest, or who may down the line. I have a few hours of studio footage from those sessions that will be included in the documentary, as well as live footage, interviews and some behind-the-scenes footage. All of these people coming together, drawing influence from the same place, while retaining a distinctly different sound, is what truly drew me into this scene, and seeing the affect of it on the lives of people involved, and the people who decide to become involved has made me decide to create this documentary. What bands (beyond The Slackers), parties, DJs, clubs best illustrate what you are aiming to capture in the documentary that illustrate Brooklyn Rocksteady? I plan to include The Forthrights, Royal City Riot, The Hard Times & The Frighteners in the documentary as my focus for current local bands that I believe are truly doing something special and that I feel embody the Brooklyn Rocksteady idea as well as sound. I'd love to include the Dirty Reggae & Version City parties, as well as any other events that may occur in the upcoming months. I'll definitely be including shows at Matt Burdi's house, The Lake, some stuff from the old Bushwick Music Studios, some stuff from the short lived "New Bushwick Music Studios" and the Brooklyn Knitting Factory. As far as DJs, I'd love to chat with Dan 100dbs about what he does, as I seriously enjoy his style, Grace of Spades, Agent Jay and more for sure. This all together I believe will help to paint a picture of what's going on in Brooklyn right now, I'm definitely open for suggestions, and if anybody believes that I have missed anything please feel free to email me with things you believe should be included and I'll do my best to include them! Why rocksteady and not ska or reggae? Rocksteady is the perfect infusion of the two, mixed with soul and whatever else these bands choose to throw into the mix. Have you started to shoot interviews yet? I'll be using footage that I shot this past summer on tour with Vic Ruggiero, Chris Murray and The Forthrights, and footage that I have shot on tours with Royal City Riot and tons of live footage that I have just hanging around at parties at Bushwick Music Studios, etc. I have interviewed Vic Ruggiero (of The Slackers), Victor Rice (Bassist/Producer/King of all that is Dub) and Marcus Geard (of The Slackers) and I plan to continue with the process this month. What is the timing for finishing the doc? The project is due out in Fall of this year, and you can find a teaser up now on the Kickstarter, but if you keep updated by checking out the Facebook page or my Kickstarter, which I am using to raise money to travel and document these artists in different parts of the country, as well as possibly other countries, and talk to fans, promoters and friends of these artists in different parts of the country, as well as other countries to properly capture Brooklyn Rocksteady: The Roots, The Scene & The Culture. Below is a preview of the footage that Gursky has in the can so far. Have a look and please consider supporting his efforts through his Kickstarter page.